We are a team of local Tibet experts that you can always count on. By taking the following steps, you will find it is so easy to get your Tibet tour started.  Work out your tour plan with our travel consultants. You need to confirm the following items with our consultants: entry & exit city; Travel Date; Itinerary day by day and group member. Send us your scanned copies of valid passports and Chinese Visa (If you enter Tibet from Nepal, only passport copy is required and you need to apply Tibet Group Visa in Kathmandu with our help). Leave the application process to us. Generally, we are supposed to deliver all the documents for Tibet permit 20-30 days in advance depending on the areas you are going to visit. Receive your Tibet permit: if you enter Tibet by flight, original permit will be delivered to you before you board the flight; If you enter by train, you just need the copy of the permit. We have helped thousands of travelers obtain their Tibet permits since 2009. Tell us your ideas and get a quick response within 0.5-12 hours. Tibet Travel Permit is a foremost & compulsory document if foreign travelers are intending to visit Tibet. Besides the Tibet Travel Permit, you will also need some other supporting documents if you are heading to areas outside of Lhasa like Alien’s Travel Permit, Border Pass and Military Permit. If you enter Tibet from Kathmandu (Nepal), instead of the normal Chinese Visa issued by your local embassy, you need a Tibet Group Visa to help you get to Tibet from Kathmandu. Check the following travel guides and learn more on Tibet Permit. 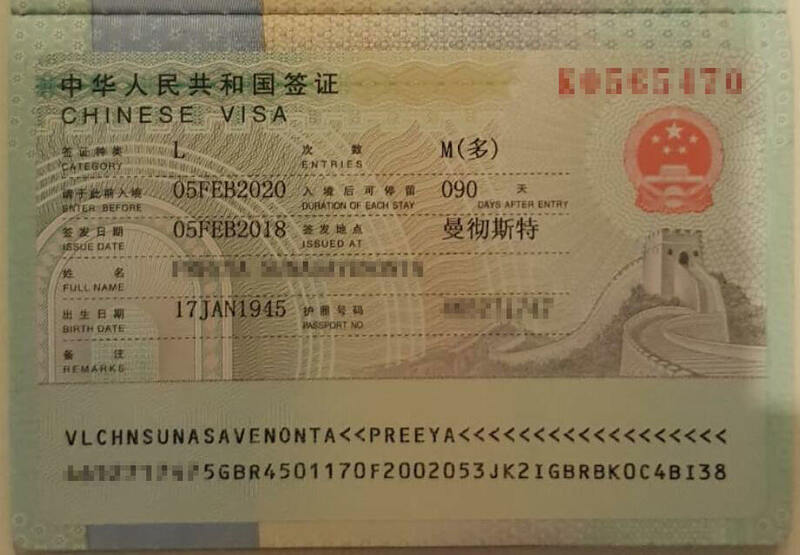 How to Read a Chinese Visa? When you read a Chinese Visa, you should know the type of the visa you applied firstly. There are several kind of Chinese Visas. Generally, the visa for tourists is “L” Visa, which can be a single, double, or multiple entry visa. Then you should pay attention to the validity date which is shown as enter before & duration of each stay. This date shown as “Entry Before” is not the date that you must leave China, but the date you must enter China. The validation period is usually 90 days for single entry visa, 180 days for double entry visa or 6-month multiple entry visa, 1 year or 2-years for 1-year multiple or 2-year multiple entry visa. As a reliable local Tibet Travel Agency, all of the latest information we acquire is always the first-hand news. What you need to do is focusing on your Tibet Travel and make good preparation for it. All the application process will be handled by us. Can I apply the Tibet Travel Permit by myself? What if our application for the Tibet Travel Permit been rejected after booking the tour? Is the Tibet Travel Permit sufficient for Tibet Tour? Do we need the original Tibet Travel Permit for booking the airline ticket? Is there any restriction on the number or age of applicants for the Tibet Travel Permit? How long does it take for the application of Tibet Travel Permit? How much does it cost for applying the Tibet Travel Permit? Could you help us with the Tibet Travel Permit application without booking Tibet Tour? What kind of materials has to submit in order to apply for the Tibet Travel Permit?